﻿ Premiere Classe Epernay Epernay. JIMAT di Agoda.com! Ada soalan mengenai Premiere Classe Epernay? Dengan lokasi mudah di Epernay, Premiere Classe Epernay adalah tempat yang hebat untuk menjelajahi bandar yang menarik ini. Dari sini, tetamu boleh menikmati semua kemudahan yang bandar ini tawarkan. Juga terletak berdekatan adalah Le Chocolat d'Emmanuel Briet, Les Grands Vins de France, La Cave Salvatori. Premiere Classe Epernay menawarkan perkhidmatan yang sempurna dan semua kemudahan penting untuk menceriakan pelancong. Untuk menamakan beberapa kemudahan di hotel ini, terdapat Wi-Fi percuma semua bilik, fasiliti tetamu kurang upaya, Wi-Fi di tempat awam, tempat letak kereta, bilik keluarga. Suasana Premiere Classe Epernay terpancar di dalam setiap bilik tetamu. internet wayarles (percuma), penyaman udara, telefon, televisyen, TV satelit/kabel hanyalah sebahagian daripada kemudahan yang boleh didapati di hotel tersebut. Di samping itu, pihak hotel menawarkan aktiviti rekreasi untuk memastikan anda mempunyai perkara untuk dilakukan sepanjang penginapan anda. Premiere Classe Epernay merupakan pilihan yang bijak bagi pelancong ke Epernay, menawarkan penginapan yang santai dan mudah setiap kali. Tetamu yang berumur 10 tahun dan ke atas dianggap sebagai orang dewasa. Been coming here for the last 5 yrs Always a pleasure to stay. I brought a group of 8 with relatively tall people (193 cm) to stay at the hotel. I was nervous that they'd find the room small, bathroom too uncomfortable, etc. But you know what, they all liked it. And I myself found that this hotel is really value for money. Hey, don't expect 5 star treatment, but for what I paid, it was well worth it... and it exceeded my expectations in various ways. Room size was bigger than I expected. Cleanliness and service was better than I thought. Bed was comfortable and the layout of the room was practical. Great job, Premier. For the price, you can't expect much. Large room, comfortable bed, lift in hotel, offer limited spread buffet breakfast @4.90€ But, no hair dryer and not near train station, city centre. This appears to be a low-price chain in France that I'd never heard of before. I just needed a hotel for one night close enough to walk to the centre of Epernay. Epernay itself seems to have very expensive hotels in general, being a prosperous town and the centre of the Champagne "industry". The hotel had no frills, apart from wi-fi, which I needed and used, and the room was very small (I'd ordered a double room at little extra cost, which I'm glad I did), but well-enough designed, with a good bed, and on the ground floor a few meters from reception. I didn't have much contact with staff, but what contact I had was friendly and efficient; and the breakfast, ordered separately and optionally, was not bad value with enough variety. The hotel was not badly situated; it was a very hot day, so it felt like a long walk to the centre of town, but wasn't really that far. Generally I was not unhappy with my choice. 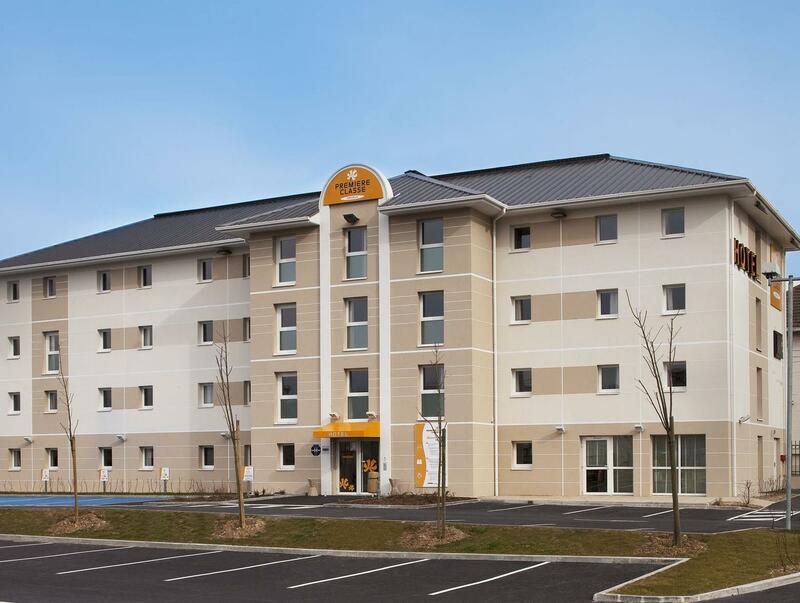 a convenient location and like all of the premiere class hotels you get what you pay for. 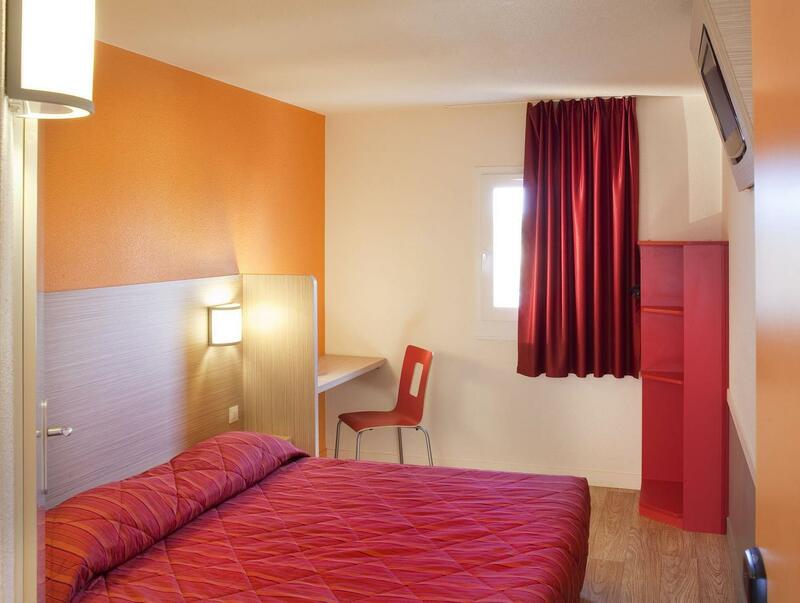 clean and efficient hotel at a reasonable price. i also had a voucher for a 15% discount at the nearby campanile restaurant. these motels are always full of tradesmen squeezing the car park full of white vans but they are usually quiet enough because they need to get up early and get off to work. Beste verblijf met het weekend Met weekdagen veel mensen die er overnachten ,die verweg wonen en in de omgeving werken. Alles netjes. Prima kamer met douche / toilet cabine. Besoin pour une courte nuit, nous avions privilégié le prix bas tout en s'inquiétant sur la qualité des prestations compte tenu justement du prix. 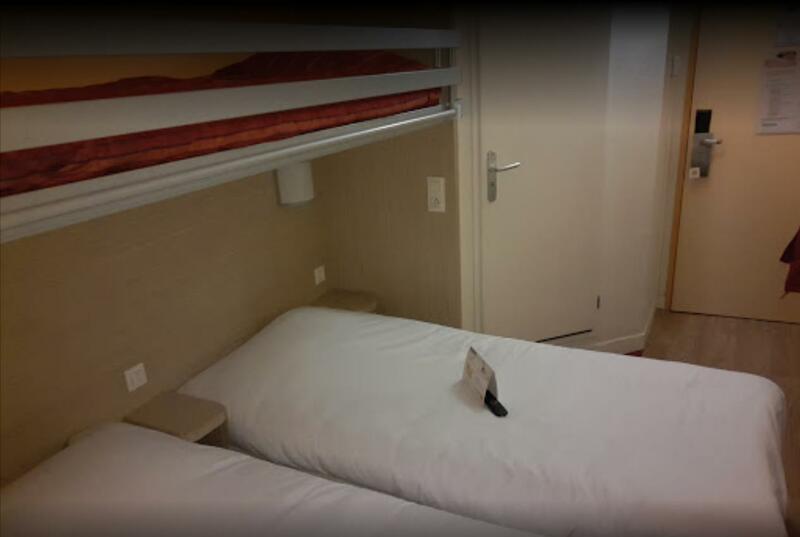 Mais surprise, un accueil très sympa et attentif à nos questions, une chambre nickel, une salle de bains petite, mais d'une très grande propreté, un lit très confortable et très propre, avec si besoins étaient un oreiller et une couverture en plus, ...une vraie surprise très agréable. J'ai déjà venté votre hôtel à ma famille.